Digital technology is rapidly expanding its presence and impact in the wine sector, and the next stop could be the weighbridge. 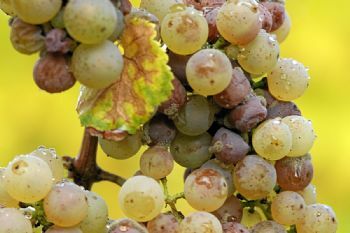 Researchers at the Australian Wine Research Institute (AWRI) are trialling a new way to objectively measure bunch rot and matter other than grapes (MOG) in fruit as it arrives using near infrared (NIR) hyperspectral imaging. The technology already exists and is widely used in the food industry to test for disease and other quality parameters, such as moisture, oil or protein levels in wheat. It works because all organic things have a specific spectral signature. The aim of the current project, supported by Wine Australia and the Australian Government Department of Agriculture and Water Resources as part of its Rural R&D for Profit program, is to validate the technology in a wine setting and develop a cost-effective approach that would meet the specific needs of winemakers and grapegrowers.